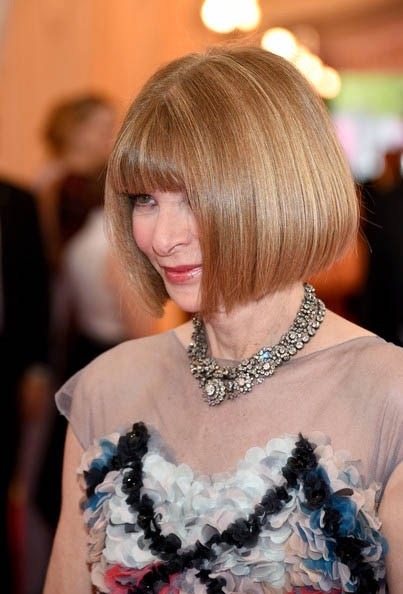 In honor of the official opening last week of the Anna Wintour Costume Center, housed within The Metropolitan Museum of Art, I’m making this month’s accessories pull All About Anna. Every May, when she co-chairs the Met Gala, I’m reminded once again of how powerful she is, and that has seemed particularly true this year, having a wing of the Met, one of the most famous museums in the world, named for her. Anna at the recent Dior Cruise show in (gasp!) Brooklyn! Photo by Bryan Bedder. 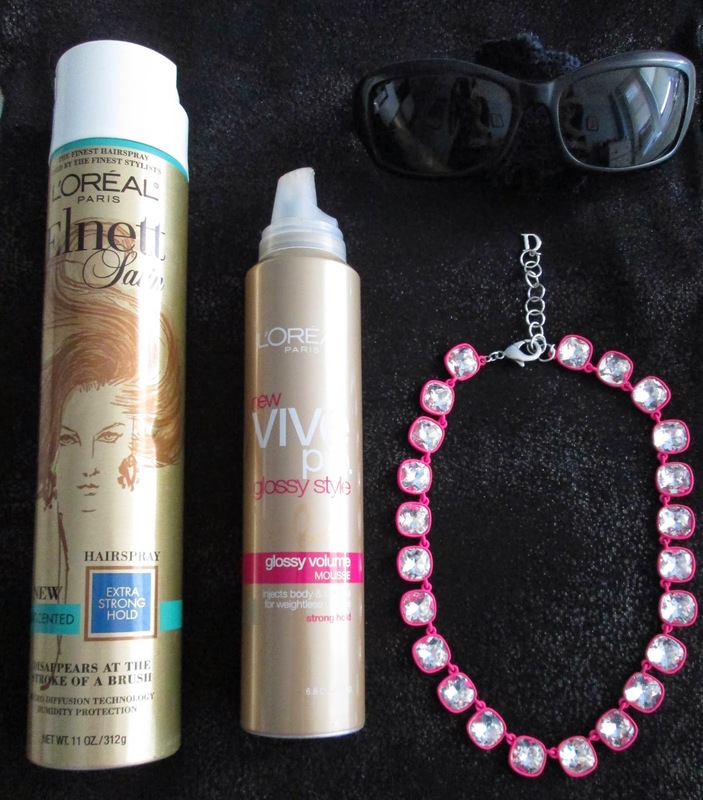 I love this mousse but I’m not sure L’Oreal makes it anymore! 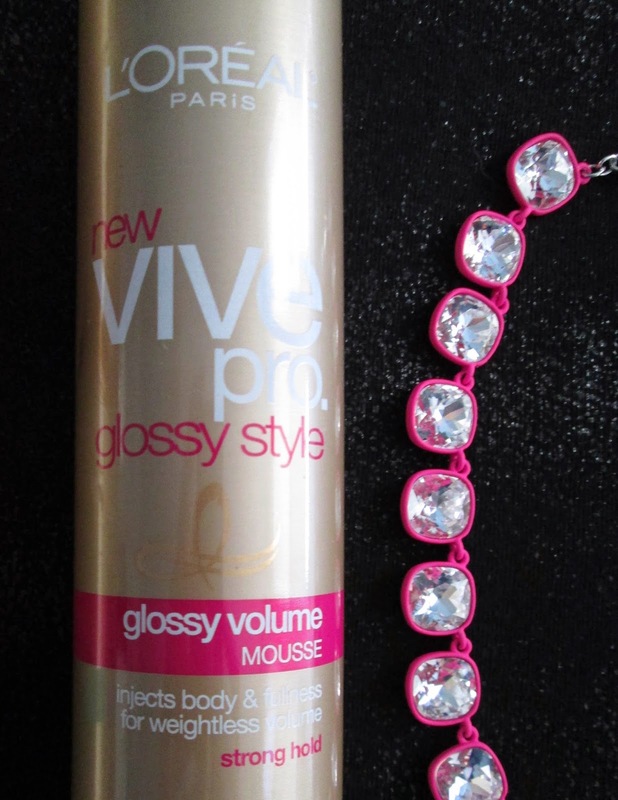 L’Oréal Paris Vive Pro Glossy Style Glossy Volume mousse and Elnett Satin hairspray. Anna is most famous for her bob of course, which has gotten lighter over the years to the point that she is now a honey blonde, though she had dark-brown hair in her younger days. I know her hair drives some people crazy but I can’t help it, I like perfection, I like it when Everything is Just So, and I love Anna’s bob! I can get a similar look with a lot of mousse, a blow dryer, and a flat iron. The perfect bob! Photo by Larry Busacca/Getty Images. The L’Oréal Paris mousse is my current favorite but I bought it so long ago now that I’m not sure they even make it anymore so if you have a brand of mousse you like, let me know the name of it! I felt compelled to try the Elnett Satin hairspray after reading so many good things about it. It is expensive, I believe I bought this for about $16, but the can has lasted several months and my hair never feels sticky or crunchy after using it so the price seems worth it to me. The packaging says, “Disappears at the stroke of a brush” and I have found that to be true. Also, I like the look of it on the bathroom shelf, with its dull gold color and beautiful illustration of one glammed-out gal! In London, April 28, 2014. Photo by Stuart C. Wilson. Does Anna smile now? Black sunglasses by Ralph Lauren. Another key component of Anna’s look is her ever-present pair of sunglasses, usually black, oversized, and by Chanel. I have a hard time finding sunglasses that look good on my narrow face so I have been faithful to my Ralph Lauren sunglasses (top photo) which I bought when my son was in kindergarten (he’s now in 6th grade). Just like Anna’s shades, you cannot see my eyes when I wear them and that’s just how I like it! Duchessa Jewels necklace in Neon Pink Swarovski Diamond. 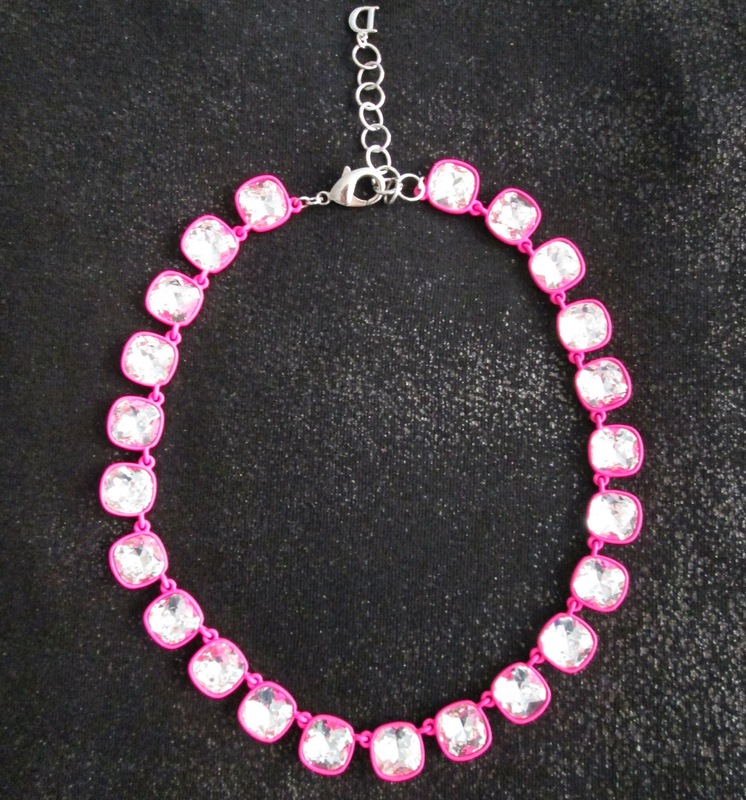 Neon Pink Swarovski Diamond collet necklace by Duchessa Jewels. Anna has really great taste in jewelry and often wears her gemstone Georgian collet necklaces in stacks. They are rumored to be from the London jeweler S.J. Phillips Ltd., which specializes in antique jewelry. My friend Nerida, who has a website selling modern-day collet necklaces, Duchessa Jewels, was interested in Anna’s necklaces too, which is how I originally found her online. Nerida lives in Hong Kong and, by working with local manufacturers, was able to design and create gorgeous (and budget-friendly) necklaces that rival anything by J. Crew, or any other retailer for that matter! She very kindly sent me this beauty last September and I love it. It sits high up on the neck, just as Anna’s necklaces do, and adds a great touch of bright sparkle with its square Swarovski stones in a neon-pink setting. In case you were wondering, collet necklaces were a style popular in the Georgian era, which refers to the British kings George I through IV who ruled from 1714-1830 (with a Regency thrown in for fun, from 1811-1820), so Anna’s necklaces are quite old, even though she has made them look so modern and gorgeous! In this great (and unusual) shot by Tommy Ton you can see just how big and sparkly the collet necklaces are! I realized recently that I never saw In Vogue: The Editor’s Eye, the HBO documentary released in 2012 about some of the fashion editors who have worked for Vogue over the decades. I am putting it at the top of my To Watch list. If you saw it, what did you think of it? And what do you think of Anna’s taste in accessories? I want her coat in the first picture!! Enjoyed the post, Jill! Her coat is very chic...it almost looks vintage. I saw that documentary and it is worth watching if you like Anna and The September Issue is a classic. I thought the Elnett hairspray smelled terrible, but then found the unscented one, which looks like you have and now it's my favorite. I'm going over to check out your friend's jewelry website! I love your necklace; it's a stunner! Love your blog too! I can't live without my Elnett. I stock up on the purse/travel size whenever I see it. I, too, love the A.W. style :-) It always looks so easy, it never looks "put together" by tons of stylists. And her jewelry...superb! Anna's bob is fabulous! But I'm a recent convert! ;) Always loved her look and her cool shades! It's so beautiful , recently made a salary, so I plan to buy some jewelry to dress himself, personally like cristal swarovski, I do not know think?